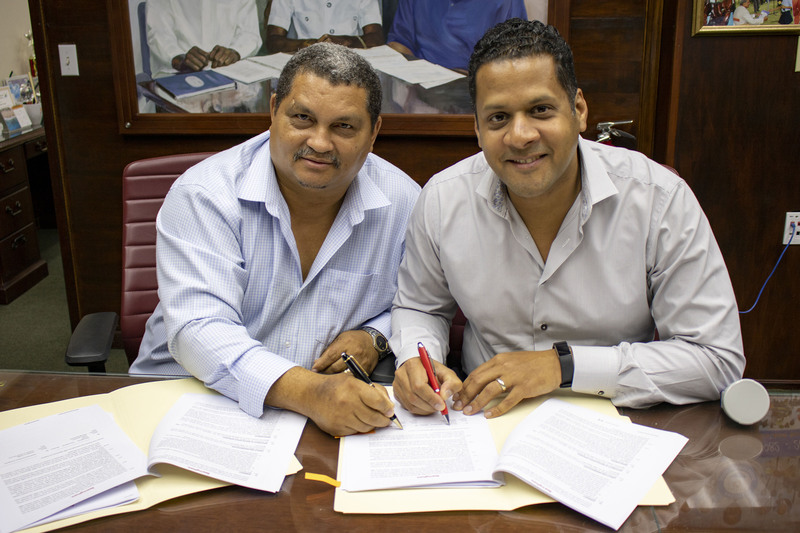 Several years and months of intense research and analysis culminated in the signing of a services and software license agreement between the Anguilla Social Security Board and Bearing Point Caribbean on 2nd April 2019. Bearing Point is an E-Public/Goverment Services Technology Provider with its headquarters located in Curacao, Dutch Caribbean. Similarly, Bearing Point and the Government of Anguilla's Inland Revenue Department have also negotiated agreements and given the number of similarities in customer base and collection processes of the ASSB and the IRD, both institutions intend to collaborate in an effort to eliminate duplication of work. The Multi Benefit Software platform replaces a now Thirty (30) year old software system, the Board commissioned and developed in conjunction with Canadian Based Global Solutions International GSI, the BVI Social Security Board and other regional Social Security Institutions. The New platform not only offers much needed efficiencies for the Board's Staff and process automation, but also introduces several secure online services for our Customers and Government Partners. In the months ahead, the ASSB and Bearing Point will be modelling and re-engineering our internal processes leading up to the implementation and configuration of the new system. We expect to offer these new e-services in phases beginning in Quarter 1 2020. More information will be disseminated to the general public as required.